Since the launch of the original model in 1990, some 11.5 million Clios have been sold in more than 115 countries. 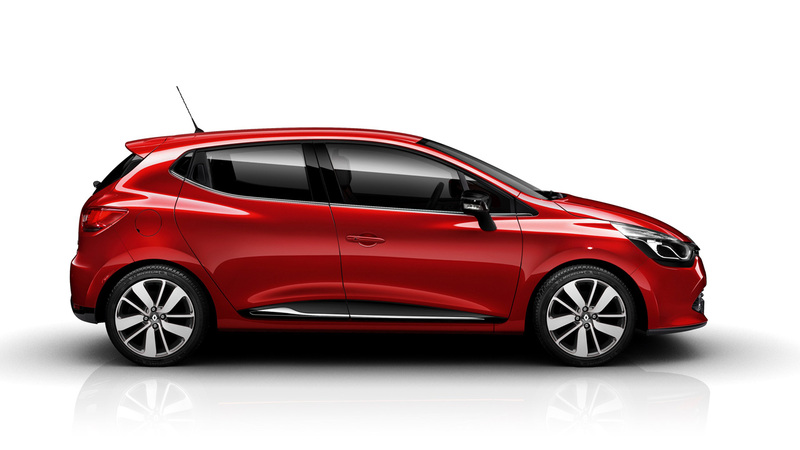 Today, a new chapter in Clio’s history is about to be written with the unveiling of the fourth-generation version. Sensual, passionate styling, the fruit of the Renault design renaissance, plus an extensive range of exterior and interior personalisation options. Renault R-Link, an integrated internet-connected touchscreen tablet. A new three-cylinder petrol engine: the Energy TCe 90 (4.3 litres/100km and 99g/km of CO2 ), Energy dCi 90 (3.2 litres/100km and 83g/km of CO2). New Renault Clio is the first production model to give full expression to the Renault design renaissance inspired by Laurens van den Acker, Senior Vice-President, Corporate Design. The promise was to take the style and emotion of the brand’s latest concept cars and bring them to production models. Renault’s new small family car fulfils that promise. 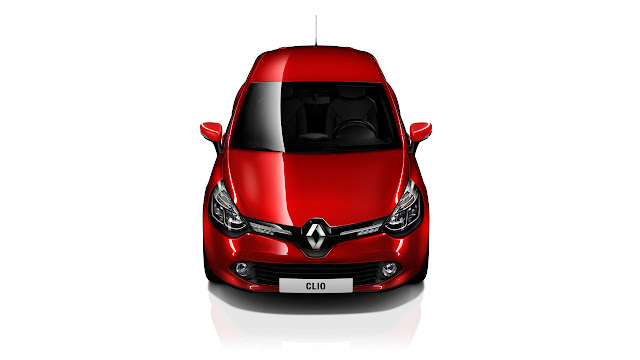 New Renault Clio stands out through its front-end design which features a prominent Renault logo, set bold and upright to a gloss black background, an arrangement first seen on the DeZir concept car. This frontal treatment is further emphasised by the headlights – the lower edge of which is picked out in chrome – and LED daytime running lights. Offered only in five-door form, New Clio has a sporty silhouette, accentuated by integrated rear door handles concealed close to the rear quarter lights. In comparison with its predecessor, it packs extra dynamism and personality thanks to a lower ride height, wider tracks, wheels pushed out wide within the arches, and a reduction in the gap between the wheels and wheel arches. 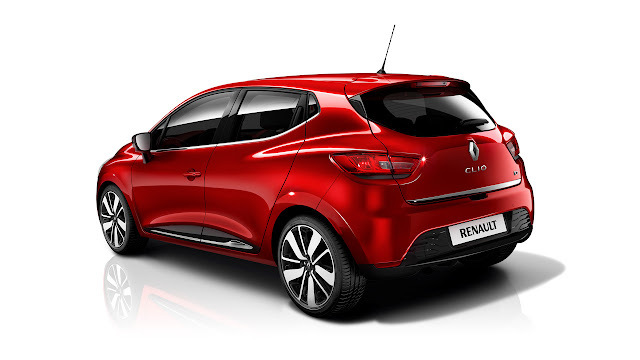 From launch, New Clio will be offered in a choice of eight body colours, including the launch colour (Flamme Red) which is derived from the red used for DeZir. 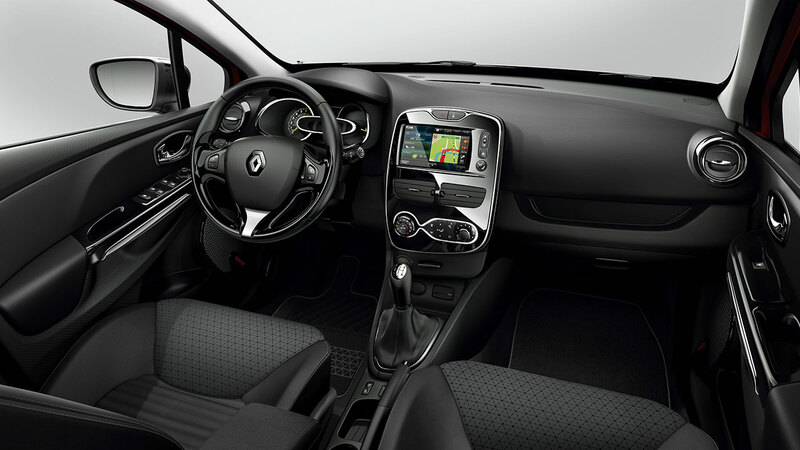 Safe, protective and refreshing, the interior of New Renault Clio perfectly complements the exterior style to inspire confidence and energy. Comfort goes hand-in-hand with a modern feel and user-friendliness thanks to the dashboard sculpted in the shape of an aircraft wing, the optimally-positioned multimedia system on the centre console, a wide range of colour options, a digital speedometer, comfortable seats and chrome and piano-black trim highlights. Exterior and interior personalisation was dialled into New Renault Clio’s design process at the very beginning. From launch, buyers will be able to personalise the exterior of their vehicle with a selection of door mirror housings, grille bars, rear panel skirts, lower door protectors and wheel finishes, as well as a choice of roof graphics. To personalise the interior, the menu covers the dashboard, door panels, steering wheel, grab handles, gear lever surround, air vent surrounds, upholstery materials and optional floor mats. Thanks to attractively-priced option packs, buyers are able to choose the look and feel they prefer. When it comes to innovation, New Renault Clio keeps up the Clio tradition of redefining expectations within its segment and raising the standards for small cars. Having been first with notable innovations such as steering wheel-mounted radio controls (1982, R11 Electronic) and in-car navigation (1994, Safrane), after bringing keyless entry to the volume market (in 2001) and GPS navigation with a high-resolution screen (Carminat TomTom® priced at €490 for Clio in 2009), and having launched on-board connected navigation in the shape of Carminat TomTom® LIVE for Clio, Renault continues its stream of innovations with Renault R-Link. 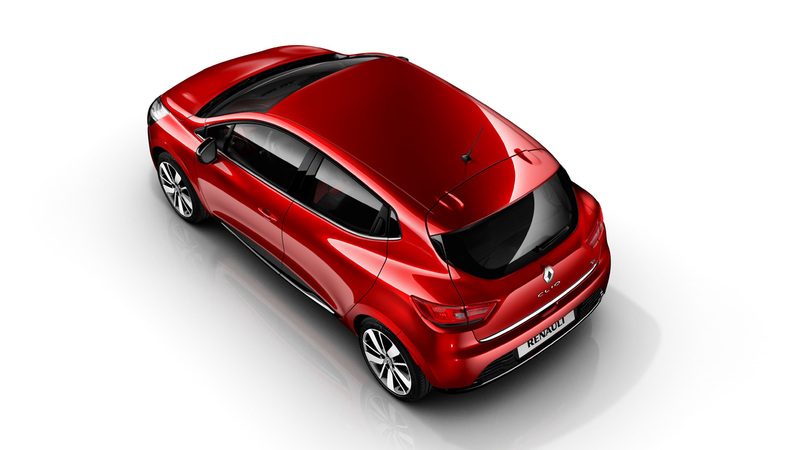 One Renault R-Link app – Renault R-Sound Effect – enables the audio experience inside New Clio to be personalised by immersing the cabin in a specific sound environment. Renault R-Sound Effect can simulate six different engine sound profiles, each with a specific, attractive signature and perfectly synchronised with driving parameters such as speed and acceleration. New Renault Clio will also be available with the MEDIA NAV system which is standard equipment for two from three equipment levels. The intuitive, centre console-mounted MEDIA NAV system features a seven-inch (18cm) touchscreen, a radio and a Bluetooth® function for the audio streaming of music and hands-free use of a mobile phone. Portable music players can be connected via the fascia-mounted USB port or jack socket. MEDIA NAV is available with ‘Nav N Go’ navigation with 2D and 3D (Birdview) displays. ‘NAVTEQ’ maps can be updated via the USB port from a bespoke internet interface. All versions of New Renault Clio are available with a clever sound system integrated into the front doors’ loudspeakers. Known as Renault Bass Reflex, this system delivers the volume and listening enjoyment of a 30-litre home speaker enclosure. Bass frequencies are more powerful and the threshold of saturation and distortion is pushed much higher. The entire New Clio range features Bluetooth®-equipped radios for hands-free telephone operation and audio streaming from portable music players with excellent sound quality. All radios incorporate USB and jack sockets. New Renault Clio combines low fuel consumption with driving pleasure thanks to a significantly updated range of petrol and diesel engines. The two petrol engines (Energy TCe 90 and TCe 120) combine very low fuel consumption and CO2 emissions with responsive performance and mid-range acceleration. The significantly improved new-generation Energy dCi engines bestow New Clio with record-breaking fuel economy for the same driving pleasure. A 21 percent fuel consumption and CO2 emissions savingc compared to the TCe 100 it replaces. - An economy-optimised version with taller gear ratios which also qualifies for the Renault eco2 signature with fuel consumption of just 3.2 litres/100km, equivalent to CO2 emissions 83g/kmc. This engine is currently in the process of being homologated and will become available in the first half of 2013. It will be among the most powerful, yet most economical engines in its class. 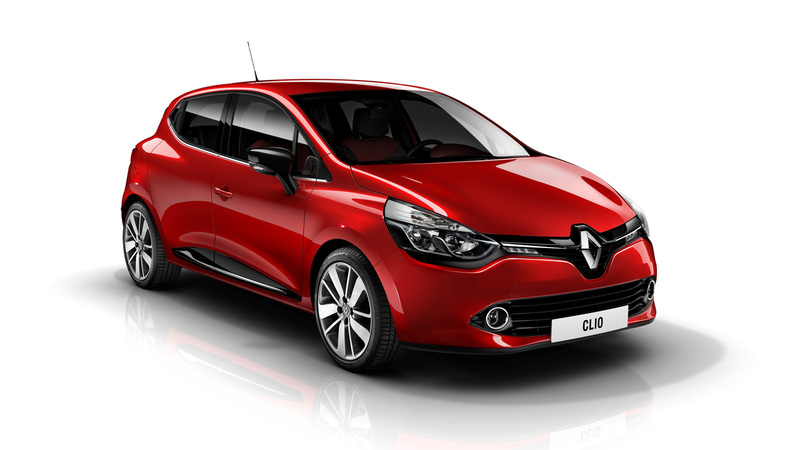 Along with the availability of EDC dual clutch transmission for the dCi 90 engine in the first half of 2013, New Clio will mark a further step in expanding access to the driving pleasure and seamless gearshifts delivered by this responsive and frugal automatic transmission. An ECO mode allows drivers to reduce fuel consumption by as much as 10 percent by modifying the car’s performance parameters at the push of a button. A driving style monitor (green, yellow or orange) and a Gear Shift Indicator (GSI) on the dashboardd help drivers improve their driving style to reduce their fuel consumption. The Driving eco² app available through Renault R-Link provides drivers with a full suite of information, enabling them to analyse their driving style and take corrective measures in order to reduce their fuel consumption and CO2 emissions. Manufactured in Flins (France) and Bursa (Turkey), New Renault Clio is built to Renault’s exacting quality standards. It is an affordable model that sets high standards in quality, with nothing to fear from larger or more expensive models. New Clio is built on a new version of the Alliance’s B platform which has been optimised for outstanding comfort, manoeuvrability and low noise levels. Safety runs in the family: in 2005, Clio III became the first B-segment model to achieve a five star EuroNCAP crash test rating. Thanks to the comprehensive list of safety features it offers, New Clio, too, seeks to deliver the highest level of safety.